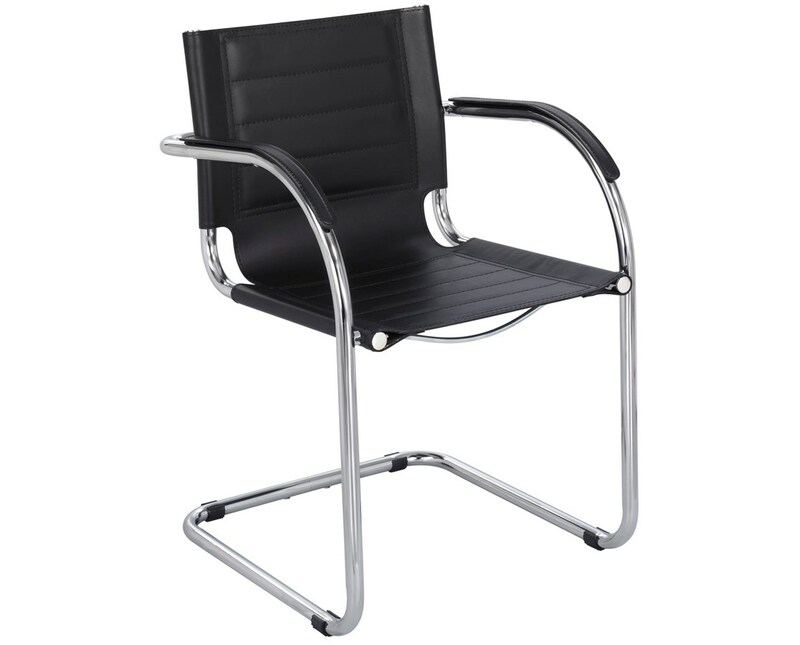 The Safco Flaunt Guest Chair gives a comfortable seat for guests with a simple yet classy and modern look great for any workspace, office and gathering areas. The fabric arms and the stitched accent on the seat and back do not only give a cozy design for added comfort, it also enhances the ergonomic purpose of this chair. It is also tough enough to accommodate up to 250 lbs of weight. 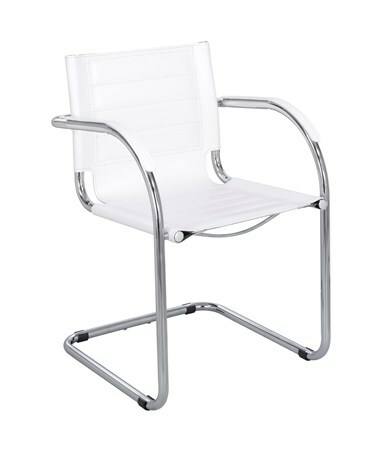 Other features include tilt tension, tilt lock, and 360-degree swivel. This guest chair has a steel base with a chrome metal accent. 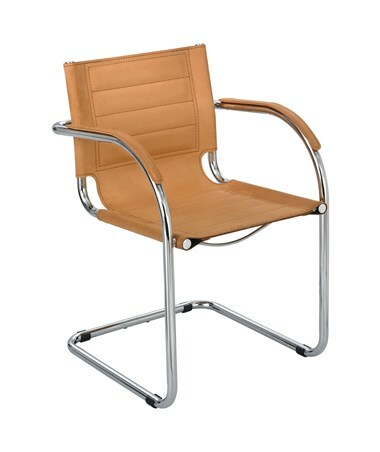 The seat and back are made of recycled leather and are padded to provide maximum comfort. This product is GREENGUARD certified, which means it does not produce harmful chemical emissions when used indoors. 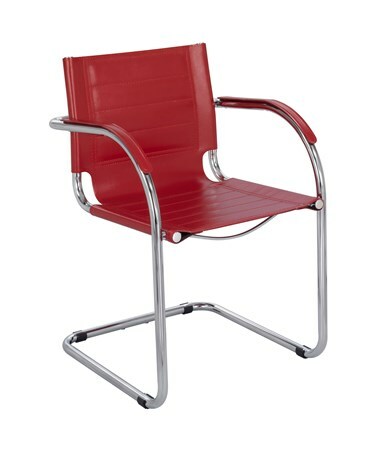 The Safco Flaunt Guest Chair is available in different colors. Please select your preference from the drop-down menu above.